For this year's Holiday Gift Guide the Pretty. Damned. Fast. team asked far and wide to get input from ladies in every type of cycling to see what they would pick as their go-to cycling gift. Ranging from bikes to headbands, you'll find inspiration for that cyclist on your list. Picked by: Abby Watson, Adidas by day. Cycling, running and podcasting with We Got To Hang Out in any and all remaining free time. If I had to pick just one lens, it would hands down be the clear to grey photochromic. They're perfect for riding in and out of the trees when I'm on my MTB, and can accommodate a really impressive array of conditions on the road, including those dark and rainy winter days. Just because it's less sunny in the winter doesn't mean you should stop wearing glasses - they're still super important to protect your eyes from road debris. For me, the combination of this versatile lens and the super lightweight EVZero frame is a winning combination! Picked by: Lori Nedescu, MS RD CSSD | Senior Nutrition PDF Editor, sports dietitian, personal chef, and fitness blogger. Follow Lori on Instagram @cadencekitchen. Photo courtesy of Bed Bath & Beyond. Every busy cyclist should have this on their kitchen counter. I can’t live without mine. Steam rice, salmon, potatoes, broccoli… I even make hard boiled eggs in it and all by adding water and turning the dial. It’s especially convenient to prepare healthful food when you need to get time in on the bike; add rice, set a timer, go ride bike, come back, and rice is ready. So simple. No standing over a pot, no worrying about leaving the stove or oven on, no crazy clean up. As a busy sports dietitian who also rides 15+ hours a week, this piece of kitchen cookery is my everything. Picked by: Mae Elizabeth | Photographer, blogger, and highly sought after fitness instructor. When not in collaboration with companies such as Red Bull, Athleta, Oakley, and Specialized Bicycles, she’s spending time leading spin classes, practicing yoga, chilling with her two dogs and eating delicious food. Follow Mae on Instagram @MaeElizabethG. Many cyclists start riding indoors, and even experienced racers take to spin classes and trainer sessions during the winter months. Inside, you can wear your normal cycling gear: shoes, socks, and bibs, but one big difference is no helmet! You sweat A LOT indoors and unless you want to be literally raining from your face, this stays-in-place, a super stylish headband is a must. Picked by: Caitlin Dumas | PDF Senior Editor, Co-Founder of CycleNebraska, a cycling community lover and advocate, racer of Cyclocross and rider of all types of bikes in rural Nebraska. Follow Caitlin on Instagram @caitydumas. I have written about these bags before, and when I was trying to pick what to recommend for this guide, Roadrunner bags kept coming to mind. Not to repeat myself, but these bags are fantastic. Roadrunner is based out of California, and their bags are handmade. They have impeccable customer service, the quality of their bags is hard to surpass, a wide variety of different types of bags (the hubby owns one of their backpacks) and I can personally attest that they make fantastic gifts since I got mine for my birthday in March. Picked by: Anna Maria Wolf | Founder of Pretty. Damned. Fast. Owner of SUN AND AIR + in Brooklyn, NY. These are my base layers when it's cold, and the top I wear when its warm. It's a lightweight Merino rib-knit tank. At 50$ they aren't cheap, but they perform and look great, wick and hold their shape. Also, sometimes you can catch them on sale for around $35.00. My only complaint is that I don't own 20 of them! This is my absolute favorite tank. It was given to me as a gift and I have people ask me all the time where they can get one. It is the perfect post-bike-race-shirt that really perfectly prioritizes what we love most in life. This tank also comes in multiple different cuts, such as t-shirt form, and there's one stating "I just wanna ride bikes, drink wine and cuddle." 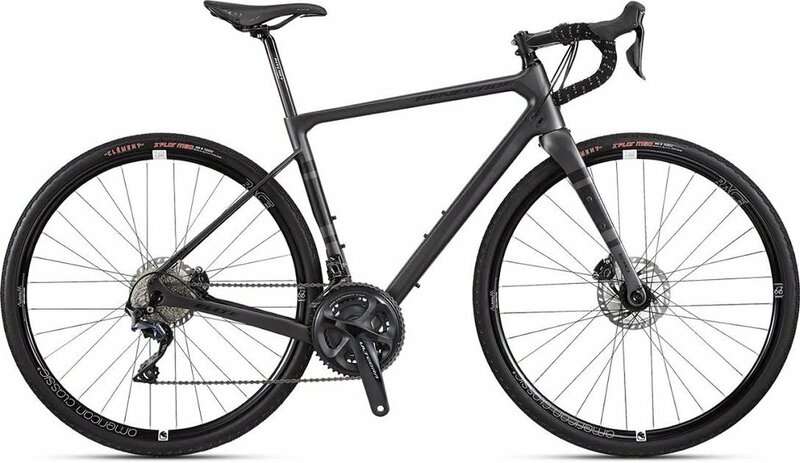 Everyone at my two bike shops is going crazy over the Jamis Renegade series. My heart belongs to the Renegade Elite, its a carbon dual 650b adventure bike. There is nothing out there that even comes close to the versatility and performance of this bike anywhere near to the 3,899 price tag. Its got fantastic components, internally routed everything, its dropper post ready, and has more frame mounts than you'll know what to do with. Plus, it goes down to a size 44! Jamis continues to make some of my favorite bikes for small riders, light and spec'd out with the same components. Picked by: Kelly Jo Krause | PDF Contributor, SXSW Conference Programming Manager, writer, public speaker & Rapha Ambassador. Admittedly, I haven't been on my bike much this year. Point blank, there’s been too many accidents and deaths in the Austin-area, and around the world that its got me a bit spooked, but having this light fastened to my bike gives me solace in that if anything ever happens to me, I have evidence. Bonus points for extra bright lights at 30 Lumen and a massive long battery life. I think it would be safe to say I'm head over heels in love with these bibs. Seriously. I know I have written a review about them before, and I was hesitating to put these on here, but I couldn't say no. I love these bibs. I compare all other bibs to these bibs. They fit perfectly, are so comfortable, I've never had issues while riding long distances, and I barely use chamois butter while wearing them. Plus, if you get them in black, and this is the "fashionista" in me talking, they match everything. It's like your little black dress of cycling gear. Picked by: Addie Levinsky | Pretty. Damned. Fast. Managing Editor, Cyclist, Outdoor Enthusiast, and Writer. Follow her adventures on Instagram @addiemargaret. Most of us feel like we live in our spandex, and while it’s always nice to get out of the chamois, I think we can all agree that wearing real pants off the bike is overrated. Velocio developed the LUXE line this past year, and I can truly say I’ve never worn a pair of bib shorts so comfortable in my entire life. I’d forget I was wearing them. For one of their first lifestyle pieces, Velocio combined the comfort of the LUXE fabric with the simplicity of a legging creating the most perfect technical leggings. This is the perfect time of year to snag a pair whether you’re at the gym, running, or lounging (pro trip: you can even dress ‘em up with a pair of boots and accessories). As cyclists we love new gear and fun designs. Unfortunately, that often comes at a steep price. 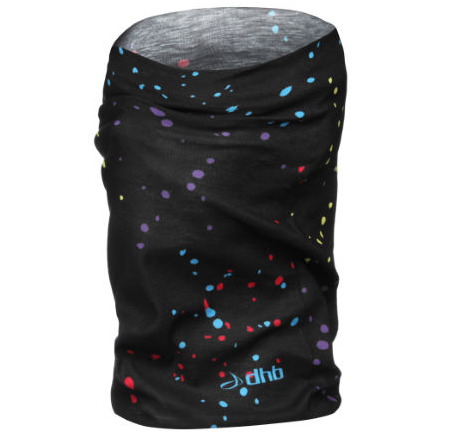 I have a secret (not so secret) love for DHB products. They frequently change their designs, and they don't break the bank. It's great training gear, gets the job done, and they have matchy-matchy accessories!